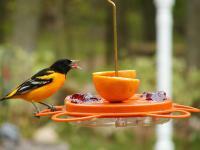 Even though seeds are among the most popular type of bird food, many species enjoy the taste of fruits and mealworms. 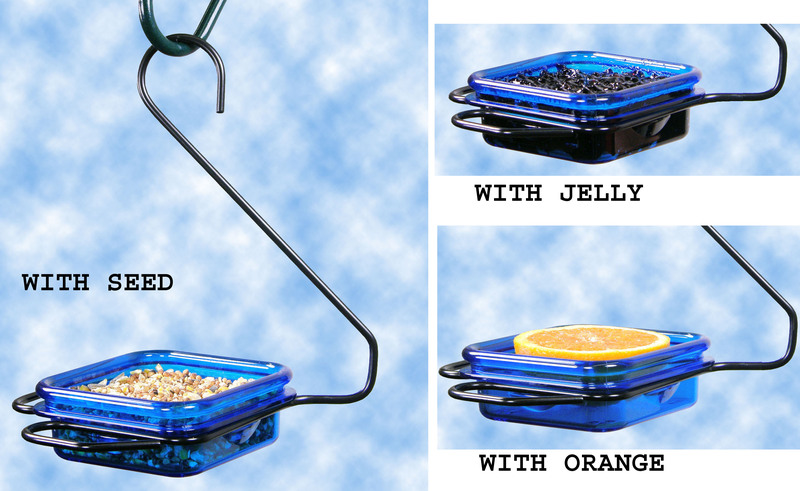 The hanging jelly and mealworm feeder from Hiatt Manufacturing gives you the best of all worlds. 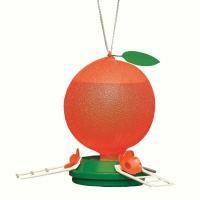 Its simple design allows the feeder to hold seeds, mealworms, jelly or fruit. Depending on your preferences, you can put out different treats each day to attract a variety of species. The scalloped blue glass dish is dishwasher safe and slides out of the hanger to allow for easy cleaning and serving. Easy to hang and easy to clean..makes a colorful feeder.. I love using my meal worm feeder but the bluebirds love it more than me. It took them less than a day to figure it out.The wait for me every morning to feed them. Love it. Haven't attracted any bluebirds yet. 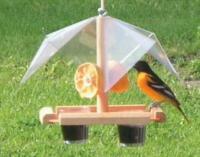 The cardinals love it since I put dried mealy worms in it. Love it! The blue attracts the bluebirds. The holes for drainage are a just a bit large some of the smaller mealworms can make their escape. Hangs easily & nicely!